Not bad at all. Not only that; even upgrading to something with Av mode can give you a chance to focus on one thing instead of always having to consider every parameter that goes into the shot. You might learn something. It’s a hard transition at first though. The K1000 viewfinder is awesome. You have to get a full frame DSLR to get anything close to it. 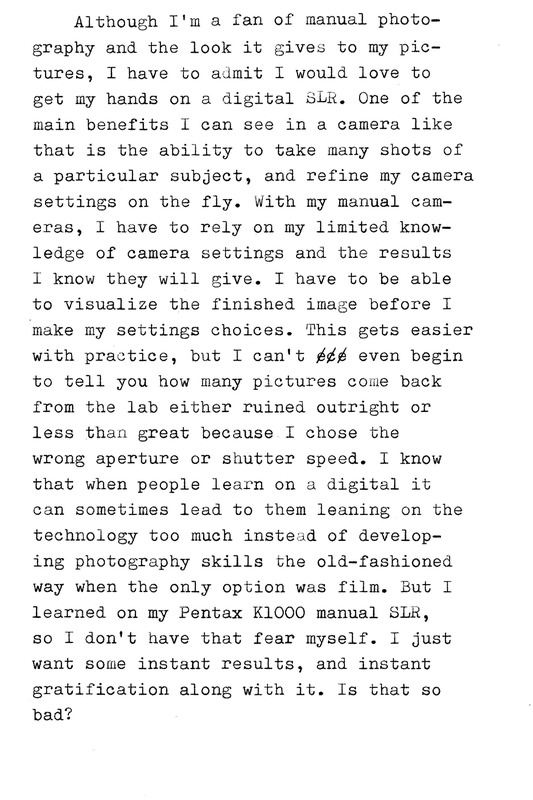 I agree about the viewfinder in the K1000. Maybe I’ll hold out until Pentax comes out with a full-frame camera. Then I can still use the three lenses I already have.